Despite what TLC told you in their popular, Grammy-winning single, some waterfalls are indeed worth chasing -- even if they're not actually waterfalls. 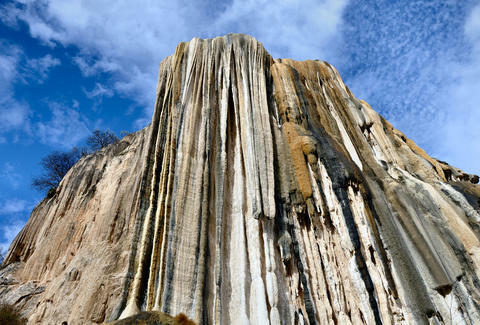 Nestled in the Central Valleys of Oaxaca, Mexico, Hierve el Agua is collection of incredible rock formations that look like frozen water cascading over cliffs. See for yourself. 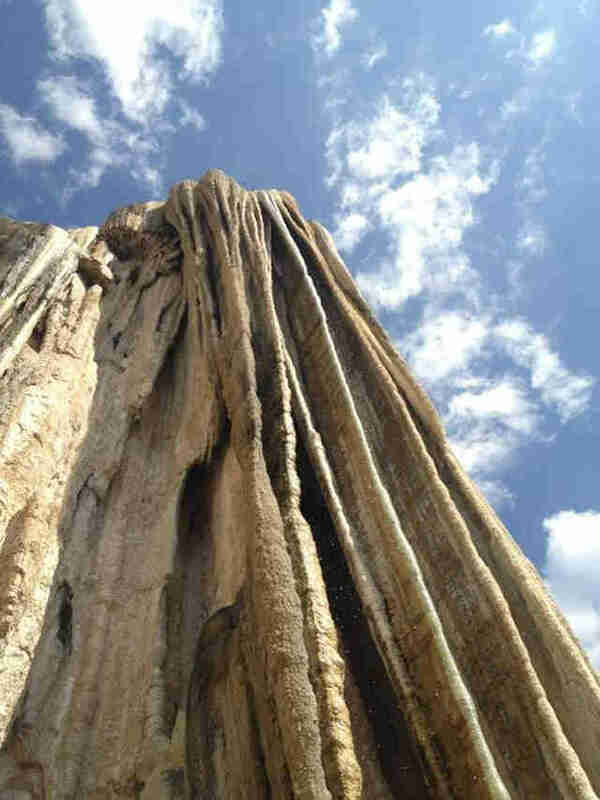 And Hierve el Agua, a cluster of sedimentary rock formations known as "cascadas pétreas" (rock waterfalls) or "cascadas petrificadas" (petrified waterfalls) that have formed over thousands of years. 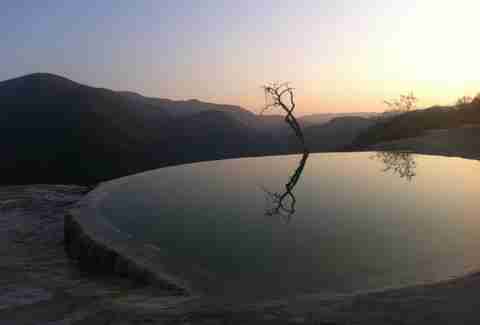 If not for Oaxaca's desert climate and average high temperature of 81 degrees (in the winter), you might actually assume they were made of ice. Of course, they aren’t really "frozen", or even "petrified" for that matter. 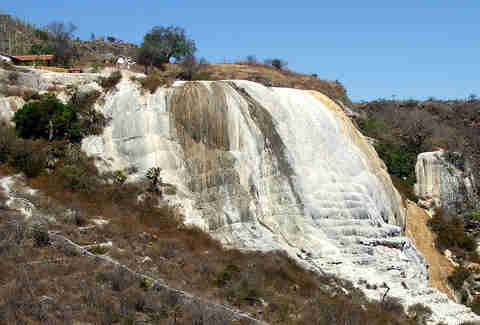 The water around them, though -- due to its high concentration of calcium, iron, silver, and barium -- has purported healing properties, according to local lore. Just so you know. How the hell did these things even form, you ask? 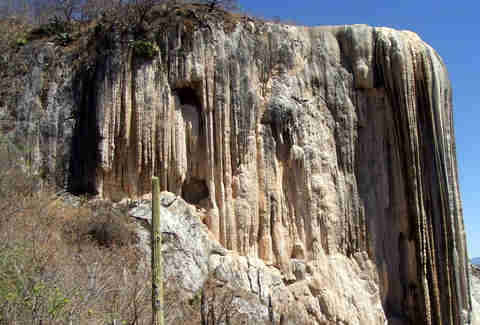 Apparently, much the same way that stalactites do in inside caves -- as a result of water saturated with calcium carbonate trickling down the rock. There are two cliffs worth seeing. 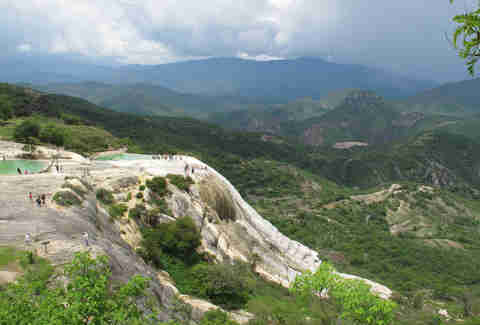 The smallest, known as Cascada Chica (small waterfall), stands around 150ft above the valley floor and -- as it's the easiest to reach by foot -- is the one most frequented by visitors. 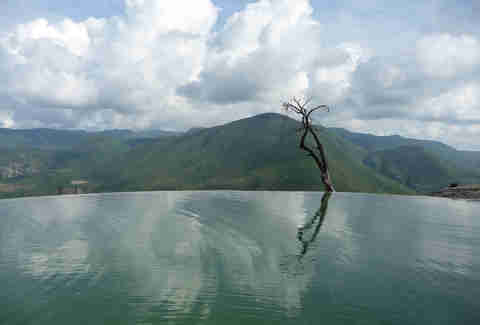 It also has this sick infinity pool in which you can take a dip. 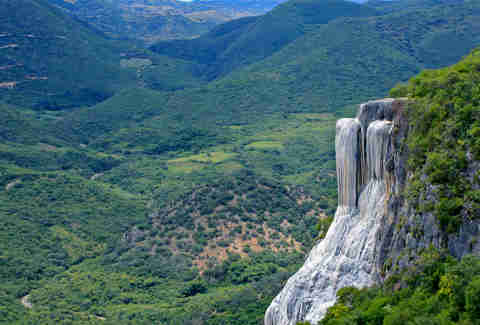 And for the more adventurous, Cascada Grande towers 240 feet above the valley and has a whopping 290ft-wide base. Chloe Pantazi is an editorial assistant on Thrillist's travel team, and she'll be sticking to the rivers and the lakes that she's used to. Follow her on Twitter at @ChloePantazi.